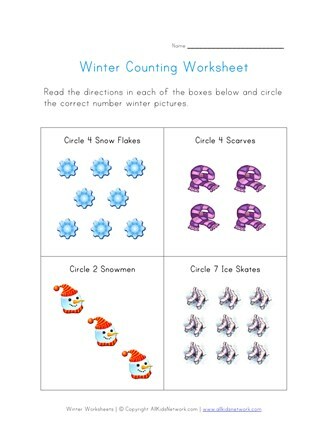 Teach kids to count with this printable counting worksheet with a winter theme. 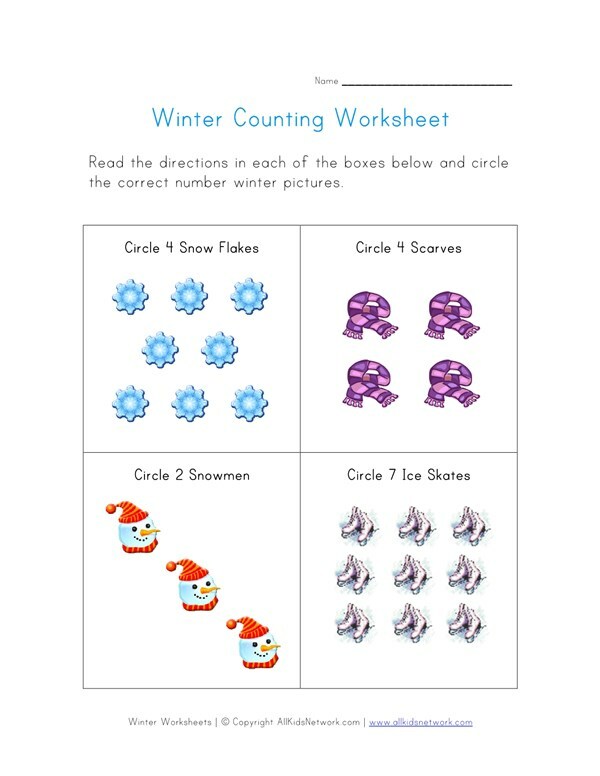 Kids are asked to follow the directions and circle the correct number of winter pictures in each box. This makes a great preschool worksheet in the winter season.